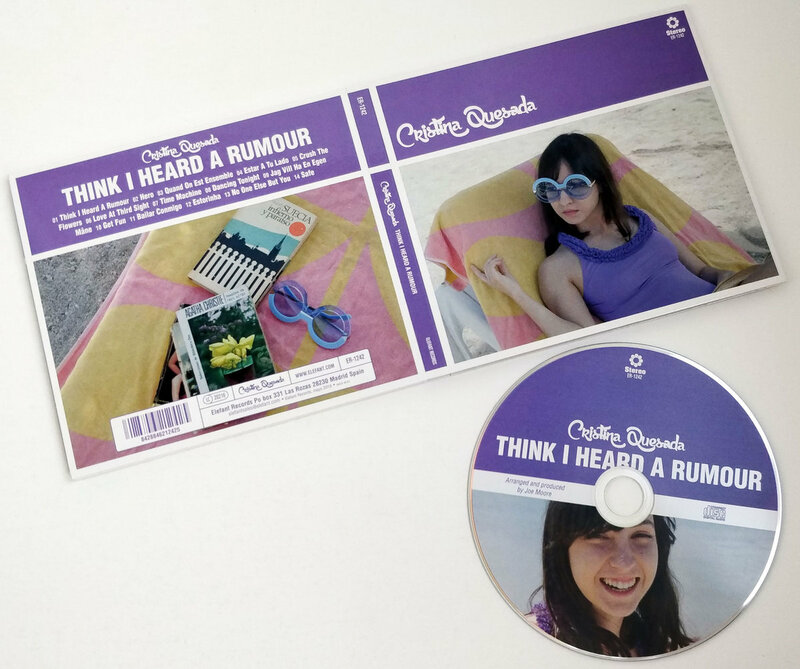 Pre-order of Think I Heard A Rumour. You get 4 tracks now (streaming via the free Bandcamp app and also available as a high-quality download in MP3, FLAC and more), plus the complete album the moment it’s released. Includes digital pre-order of Think I Heard A Rumour. You get 4 tracks now (streaming via the free Bandcamp app and also available as a high-quality download in MP3, FLAC and more), plus the complete album the moment it’s released. A few weeks ago, we released that advance Single called “Hero”. 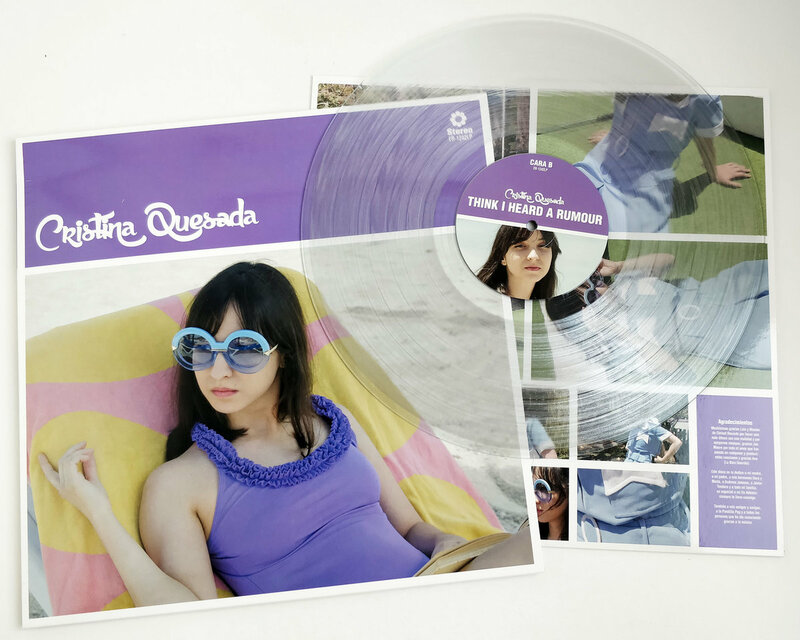 Cristina Quesada is back on the record label scene with something new, and with a surprising new team. 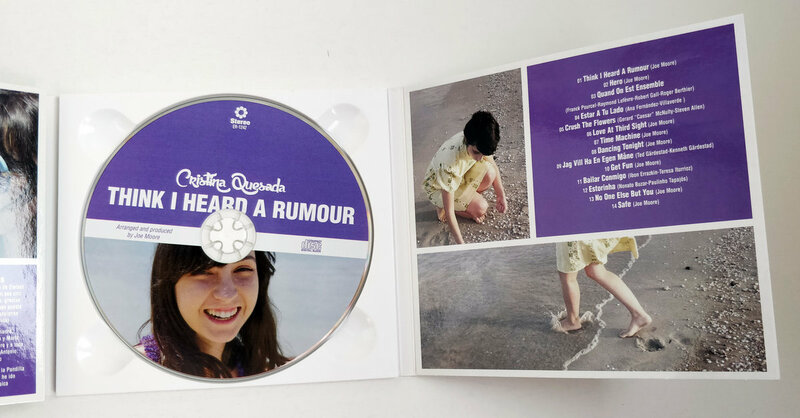 The thing is, Joe Moore (THE YEARNING, THE PERFECT KISS, Lia Pamina) has written, arranged and produced almost all of the songs on her second album, “Think I Heard A Rumour”. The album brings together Joe’s infinite love of music and Cristina Quesada’s freshness and sweetness, and the result is a collection of songs that need (and deserve) to be carefully and specifically commented on individually. To start things off, we have the title track for the album, which puts all the cards on the table. “Think I Heard A Rumour” is a eurodisco hit, with a NEW ORDER bass and a SAINT ETIENNE chorus. Everyone will be playing it. It’s one of those songs that makes your heart beat faster right in the middle of the dance floor without knowing what it is you are falling in love with. Then comes “Hero” and the dance floor is still on fire. 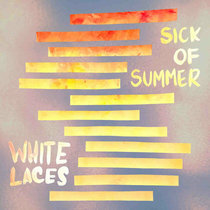 Unrepentant rhythms and dreamy melodies. “Hero” is an instant classic that moves between the PET SHOP BOYS’ most danceable hits, the Japanese pop of Tommy February6, the earliest recordings of THE SOUND OF ARROWS and ABBA’s catchiest melodies. The formula in the eighties seemed so simple and so effective… Why have so many people forgotten it? And now another of this album’s great secret weapons is revealed: the covers. We already saw how amazing what Joe and Cristina did with LIO was on the advance Single. Now it’s France Gall’s turn, with her delicious “Quand On Est Ensemble”, which is put through the blender and reborn modernized among arpeggiators and synth-pop rhythms. As if KRAFTWERK had decided to write spacey anthems obsessed with the French chanson. Now we have to stop for a second, because we have gotten to one of the songs that is not a cover and is not written by Joe Moore. “Estar A Tu Lado” was written by Ana Fernández-Villaverde (in other words, LA BIEN QUERIDA) specifically for Cristina. And you can tell. The vocal melodies, the lyrics… It all reminds us of her songs. “Estar A Tu Lado” is a tailor-made love song with vocals and arrangements that shine with a light of their very own. Ultimately, the conjunction of talents makes magic happen. Then we’re back to covers, and this time, and after that heartfelt declaration of love, Cristina and Andreas (ALPACA SPORTS) become one to revisit one of the Singles we at Elefant Records have listened to the most since its release in 1989. “Crush The Flowers” was the A-side of the first Single THE WAKE put out with Sarah Records after their time with the also legendary independent label, Factory. Here we have a certain J-Pop impulse (Joe Moore himself has recognized the Japanese PERFUME as an important influence when it came to making this album) and with the combination of Cristina’s and Andreas’ voices it comes back full of emotion and sweetness. “Love At Third Sight” makes it clear that, for Elefant Records’ most prolific composer, this artistic marriage has given him the opportunity to create undisputable eurodisco hits, which benefit from Cristina’s voice and the necessary freshness and youthfulness that the melodies need. It’s incredible. BANANARAMA would have killed for a chorus like this. 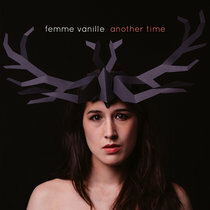 “Time Machine” is also a new song, that plays psychedelically with layers of vocals. Like “Lucy In The Sky With Diamonds” made with a base of synthesizers. There’s no track here, but there is a journey. And what a trip it is. We never dreamed of hearing Cristina Quesada play with vocals like this. “Dancing Tonight” is a powerful mix between “Words” by F.R. DAVID and “Don’t Cry Tonight” by SAVAGE, which ends up sounding like a production by COLLEGE. By now it’s clear that “Think I Heard A Rumour” is an album with a lot of personality, even beyond its undisputable inspiration and punch. But there are still a lot of surprises to come. And taking a song from 1972 from the first album by the Swedish singer Ted Gärdestad called “Jag Vill Ha En Egen Måne” and taking it to another musical galaxy is an exercise that no words can describe. It goes beyond the love of music and musical fantasy. “Get Fun” is another vocal play full of imagination and ornamentations. For the more obtuse of us who don’t see the complicated interweaving of some pop songs (I mean, just because a song is as pop or direct as it may be, it doesn’t mean it is simple), here we have evidence of exactly what Joe Moore is capable of when he finds the right partner. 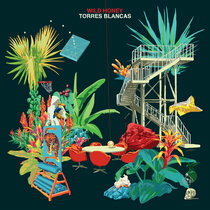 “Bailar Conmigo” is written by Teresa and Ibon, from SINGLE, from LE MANS, from AVENTURAS DE KIRLIAN, one of the most important songwriting couples in the history of Elefant. It’s difficult to figure out the origins here; our beloved companions have never been known for being especially predictable or classifiable. The result in the hands of Joe Moore is an exercise in highly addictive electronic bubblegum, sometimes bizarre, seductive, and above all, brilliant. “Estorinha” is a song by the Brazillian singer Evinha which was released at the peak of the Tropicalism era, 1969. It is no secret that we are very passionate about Brazilian music here at Elefant, and Evinha, as a solo act or with her siblings, has always been our most important reference. Once again, there is barely a trace of the original song; it seems like we’re in 1982, when YAZOO released their first album. To wrap things up, “No One Else But You” and “Safe” put the focus on this duo’s ability to create eurobeat anthems, with incredible choruses and melodies that make us believe in music again. “No One Else But You” seems like a classic from the end of the 80s, one of the first singles from Samantha Fox, Taylor Dayne or Kylie Minogue. “Safe” closes the album, combining the past and the future... Pop, house, jungle, future pop, the 80s and dream pop. After all this we still have one last stop. What we need to look back and realize everything that has happened over the course of these 14 songs. It’s impossible to sum it up in a few words. What we can say is that this is about the musical EXPERIENCE full of nooks and crannies to be discovered, emotions to be released and songs and references we will never be able to forget (nor should we). This is a lesson about breaking stereotypes, prejudices, and should serve us to open even the most skeptical people’s eyes. That was music. And they called it a rumour.